Description Red carpet ready dresses are within reach when you take home this Carolina Herrera Purple Abstract Printed Silk Organza. 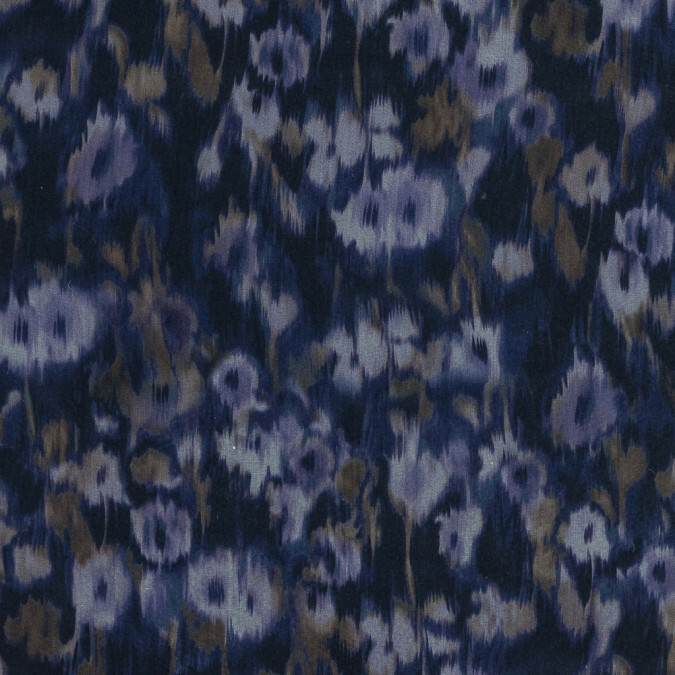 An abstract ikat-esque pattern covers a smooth organza with navy purple golden brown and white. Known for the interesting silhouettes it creates it features a stiffer drape that falls into full volume. From gowns to cocktail dresses use the thin lightweight woven to create something spectacular. Sheer insert a lining for more opacity.